Rogue Factor‘s turn-based tactical-RPG Mordheim: City of the Damned, based on Games Workshop‘s tabletop game, is receiving today its second major content update. On this occasion, players entering Early Access from tonight till Friday 6th of February will enjoy an exclusive -33% discount! Mordehim: City of the Damned now features a fourth playable Warband – the Cult of the Possessed – and introduces extended warband management and new mission objectives in Skirmish mode. 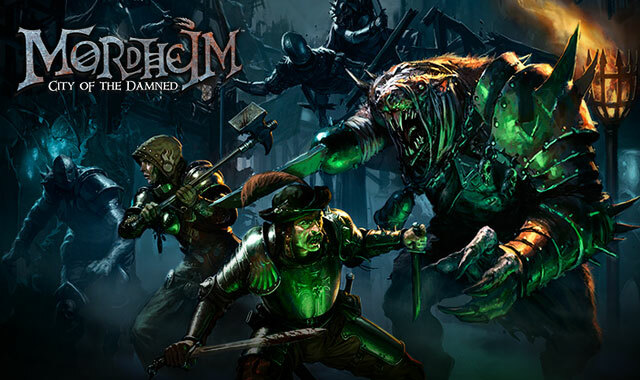 With three Warbands previously available to players – the Mercenaries of the Empire, the Skaven of Clan Eshin, and the Sisters of Sigmar – Mordheim: City of the Damned welcomes now the Cult of the Possessed, bringing the total of playable Warbands to four. New content and new features are of course planned for release in the near future, including extended Warband Management. Visit our Steam Page for a detailed road-map! The Cult of the Possessed: Worshipers of the Dark Gods of Chaos, the Cult of the Possessed is a group of degenerates and mutants gathered together seeking to gain the favour of the Shadowlord by returning the Wyrdstone to the Pit, slaughtering all those they find trespassing on their master’s domain. They of course boast their own skills, such as Terror, a passive skill which has a chance to enforce a leadership test on any unit that passes his threat zone, or Boon of Chaos, which will buff up a squadmate, increasing physical, mental or martial statistics. Reserves management: Extending the the Warcamp, the ‘reserves’ management option allow you to choose which of your units will head in and out of combat, allowing you to strategically place units in the heart of battle depending on the match load out you might need for the fight. New Skirmish mission objectives: New skirmish objectives are introduced in this new update: Marked for Death have your hunt for a specific enemy unit – Crush their Will is reminiscent of capture the flag, where you have to steal the enemy’s idol while protecting your own, and finally Wyrdstone Rush, where you will have to gather the precious green shards and secure them. More features will be available in the near future, such as Warband leveling. Be sure to check the steam page for more detail about what’s coming next.